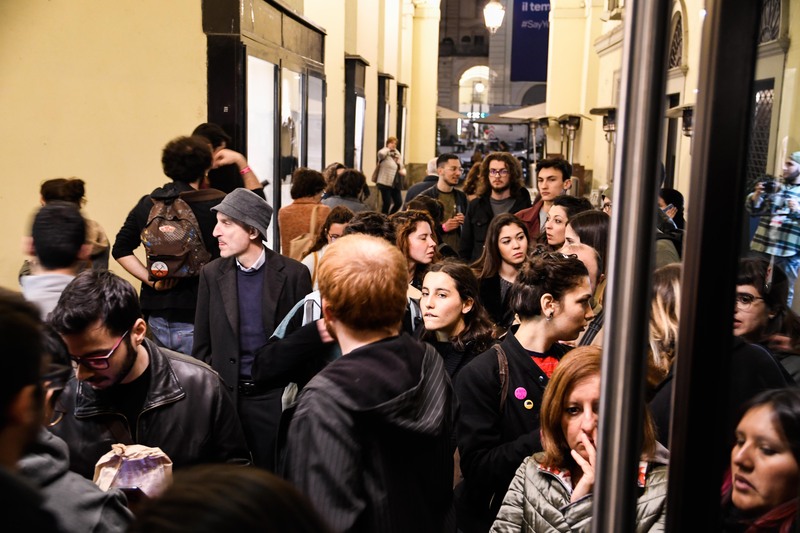 The first day of the sixth edition of the Torino Underground Cinefest, yesterday March 24th, is going to end with the inauguration party at Blah Blah. Almost five hundred visitors came by at the Cinema Classico while at the Cinema-Theatre Baretti they were nearly two hundred and fifty. Everything worked out perfectly thanks to a good planning and the efficient job of the volunteers, who immediately adjusted themselves to the mood of the whole festival, thus contributing to it with great professionalism. Nine short films and three feature films were screened during the day and, in general, the feedback from the audience was very positive. The Q&A with Demetrio Salvi and Maurizio Capone, respectively the director and the subject/actor/protagonist of the documentary “A_Mozzarella_N_i_g_g_a”, was particularly engaging. The two artists answered with great passion and emotional involvement to the stimuli given by Annunziato Gentiluomo, talking about music, the Neapolitan reality and, above all, how important it is to educate in the name of beauty and encourage to do something. Maurizio Capone concluded his speech with a performance, producing music out of a simple plastic tank, two drum sticks and a polystyrene container with a rubber band. The audience was completely captivated by the “equatorial” sounds of this artist, who wanted to honor the bystanders with another performance during the inauguration party at the Blah Blah. “We are very satisfied with this first day. The audience seemed to be content as they appreciated the planning of the event, studded with new languages and expressions. This is the indie cinema that we want to present and promote”, the art director Mauro Russo Rouge says. 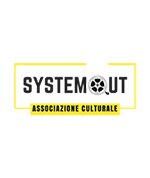 Today, March 25th, we are starting at the Cinema Classico at 15:00 (3 pm) and at Cinema-Theatre Baretti at 18:15 (6:15 pm). Entry to the event is totally free, but it necessary to book a seat on the platform Eventbrite. It should finally be recalled that this sixth edition is supported with a voluntary contribution by the School of Digital and Interactive Arts “Event Horizon” and that the media partners, together with ArtInMovimento Magazine which also deals with the press office, are Italia Che Cambia, Piemonte Che Cambia, TorinOggi, Studio54Network, Eco del Cinema, Al di là del Cinema… and Il profumo della dolce vita.